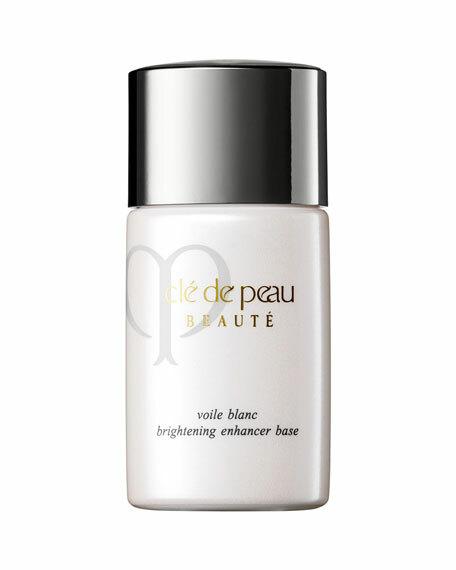 Cle de Peau BeauteBrightening Enhancer Base, 1.0 oz. This luxurious pre-makeup base enhances the luminosity and look of smooth skin to provide visibly brighter skin and a dramatically improved foundation finish. Helps conceal sun spots and other imperfections for a visibly smoother, brighter, and more even skin tone. 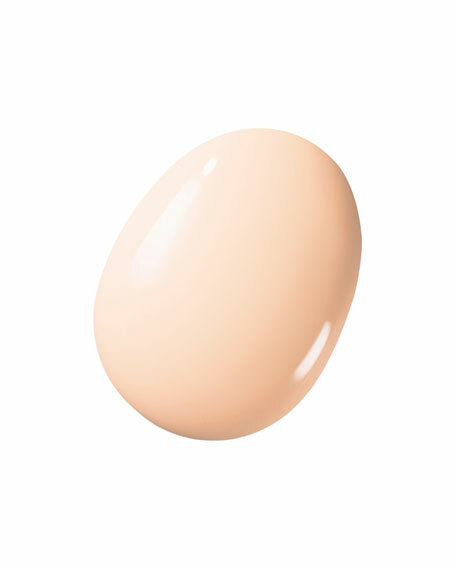 Helps foundation apply flawlessly and stay put throughout the day. Developed with a generous infusion of skincare ingredients to protect skin from dryness. Glides on with a comfortably light, dewy texture to give skin clarity. Apply to the face following skincare. Shake the bottle well before use to ensure the formula is well blended. Dot onto cheeks, forehead, nose, and chin. Smooth evenly over the whole face*. *Avoid applying in excess as it could cause foundation to crease and look uneven. Note: Store away from direct sunlight, high temperatures, and humidity. Armenta enhancer from the New World Collection. Darkened sterling silver and 18-karat white gold. Carved feather bone pendant with champagne diamond trim down center. 0.31 total diamond carat weight. Bale slides easily onto chain (sold separately). Made in the USA. With a single stroke of the brush, the ultra hydrating formula's light-reflecting pigments blur imperfections for an instant anti-aging effect.